Lovely slow mo of an uppercut by Anthony Joshua just before he knocked out Matt Legg in the first round. 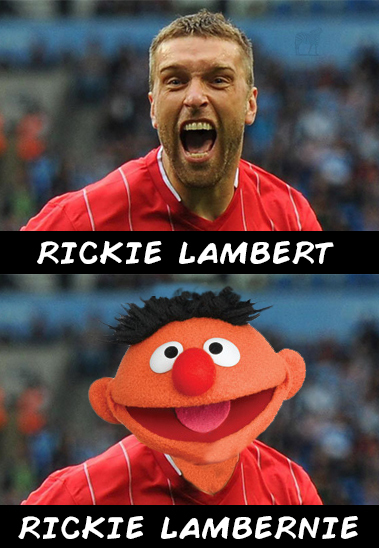 Rickie Lambert… Rickie Lambernie… Sorry – had to be done! View more ridiculous footballer name puns here. VIDEO: Highlight Of England – Peru Game. Paper Airplane Launched From Stands And Hits Player! As it says in the youtube description – this is the height of human achievement. To launch a paper airplane from their they are sat, for it to reach the pitch and then hit a player… Take a boo son. Take a boo. I’m not sure if this is against the rules or not – though I suppose not as they’ve secured third place with it. Should the rules be changed? I don’t think so myself. The Philippines and Palestine are playing in the final today. 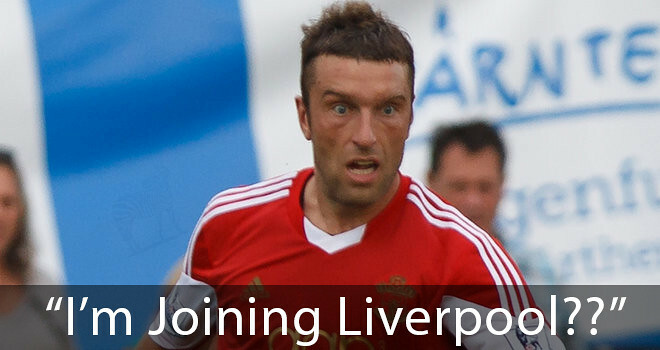 Rickie Lambert can’t quite believe his luck. He wakes up this morning and he’s told that he’s joining Liverpool for £4million. Queue a mass reaction from fans – but come on folks… Lambert or Arsepass? I know who my moneys on. Brendan Rodgers signs a new contract and promptly does this… Amazing GIF from Reddit user Greged17. Nothing better than a bit of Enrique Inglesias with Roy Hodgson bopping along and Steven Gerrard looking really confused in the background. Kudos to Martin Fitzgerald for spotting this and uploading it to Vine.